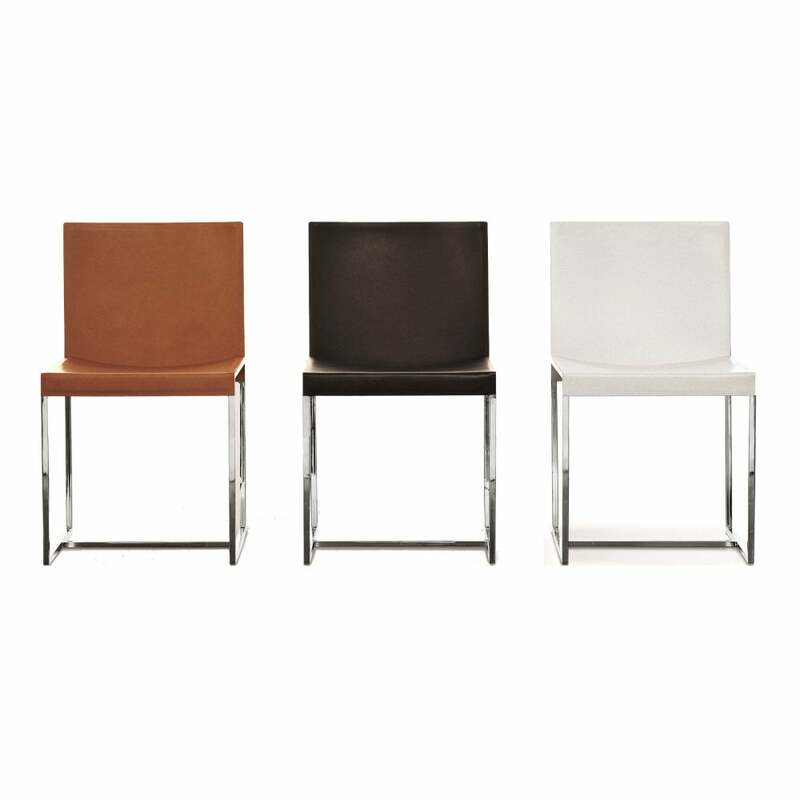 Axia chair with chrome-plated or painted steel frame. Priced for Frame in painted tubular steel. Seat and back in hide.